1. Everyone manifests: Everything began as a ‘thought’ in someone’s mind and are manifested into ‘things’. Every thought has a consequence, therefore think positive enthusiastic thought intensely and always. Speak only wonderful words to yourself constantly. 2. Be, Do, Have: Do what you love and add enormous value and leverage to it. ‘Doing’ is good but ‘Being’ comes first. You must first be an enlightened millionaire. Abundance comes by making others better off, by giving you get more. 3. Live above the line: Stop justifying whatever happens to you by blaming someone else, instead take responsibility. Blaming yourself instead is the opportunity for growth by learning from experience. 4. 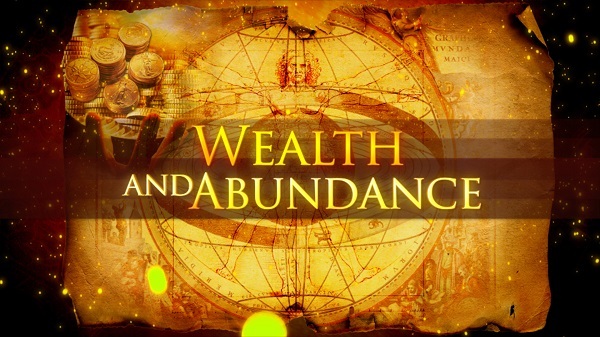 Abundance is your natural state: The universe is fundamentally abundant; there is absolutely plenty for each us. Infinite money is the money Earned, Saved, Exponentially Multiplied & Give Away. You are abundant. 5. Givers Gets: Give your time, approval, advice, compliments, sense of humour, talent, encouragement, love and all these things will flow back to you in abundance. 6. Changing your reality is a snap: Some of us need to change our habits in order to change our lives. Here is a simple technique to change your habit; put a rubber band on your wrist, anytime you catch yourself thinking a negative thought, snap the rubber band. Try this 24hours for 30days. 7. Words Transform: Spoken words have tremendous impact on both the internal and external realities. Only speak with good purpose. 8. You are your wealth: Anytime you start a new project, the first task is to take stock of your resources. List your assets & your liabilities and subtract your liabilities for your assets. What you get is your Networth. There are only 3resources you need to be a millionaire; A Good Idea, The Commitment to do it & The Key Contacts who possesses all the other resources. 9. Wealth is Freedom: Financial freedom enables you to work when you want to work not because you have to work. With Time Freedom, your work is your play and your play becomes your work. Then you can pursue Relationship Freedom, having enough time to enjoy and have fun with your loved ones. Physical Freedom is also essential because, Health is Wealth. 10. It All Starts with a Dream: Where do you see yourself 5years from today? Dream big! See it, Taste it, Hear it, Smell it & Feel it. 11. Clarity Is Power: Set goals. But how do you achieve your goals? Simple, don’t think of your goals, think from your goals. Instead of think of your dream home, imagine yourself actually living in that dream home as if you are already there. 12. More Clarity is More Powerful: Goals are critical to your success. They should be from 6 major areas of life; Body, Brain, Being, Time, People & Money. Every morning write these 6 major goals down on paper, take it with you anywhere you go and read them aloud 4 times a day – Breakfast, Lunch, Dinner & Just before going to sleep. 13. Tap into Your Genius: You have a Unique Genius (Talent, Ability, Interest & Values) that only you can bring into greatness. To tap into your genius, write down the answer to these questions; (1) What do I love to do? (2) What am I good at? (3) What is important to me? (4) What was I born to do? 14. Love Each: To become rich, you need to do what you love doing and you are passionate about. 15. Imagination Trumps Will: Imagine the best for yourself. Picture yourself succeeding, see people accepting you and liking you. 17. You Already Know The Answer: Everything you’ve ever known in your life is indelibly recorded in your brain. People don’t have bad memories, they have perfect memories, they don’t have a perfect system for accessing what is already there. 18. Be Congruent: To manifest abundance, you need to achieve congruence by aligning 3 key parts of yourself – Desire, Believe and Self Confidence. 19. 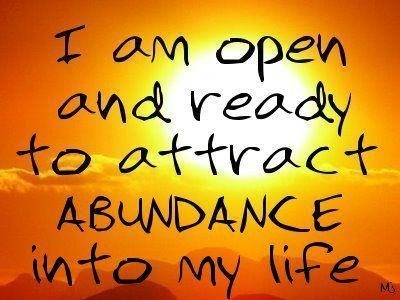 You are a Money Magnet: Magnetism is one of the prime moving forces in the universe. Each cell in your body is a tiny machine that generates magnetic energy. The more aligned you are to the things you want, the more powerfully you attract them and become irresistible. 20. Knock and It Shall Be Opened: When you become committed to something, then the invisible signals goes forth like a radio beacon resonating whatever resources are necessary to complete the task. 21. Sharing is Having More: Giving is the highest form of manifestation of one’s true nature. Its the combination of faith and action. Give 10% of your income to charity and humanity, this multiplies prosperity a thousand folds. 22. God Knows Where The Gold Is: God is the author of money, we need to involve Him, through our spiritual life. 23. Destruction Is Creation: What one habit do you need to eliminate right now, which is hurting your ability to manifest a million dollars? And what one habit do you need to create to reach the millionaire status? Commit to eliminate the bad habits and create new habits. 24. Put It All Together: Desire, Believe, Self Esteem – when you have these alignment, you are a power to the world.